It took most of the night for the Shadowkin to recover from the damage the ghost knight inflicted on them. They had not had a body for a long time, and needed to search the memories of all the hundreds of spirits to remember how to heal themselves. But the body they had stolen from Grimmalkyn had power and physical strength to spare, and soon enough they were back on the hunt. The hound loped through dust filled halls and bounded over piles of rubble, steadily making its way to the castle’s heart. They lifted its muzzle to the air, tasting the wind for any sign of the girl, but all they could smell was the scent of grave dust and ancient bones. The spirits howled in frustration, and started to argue amongst themselves. The sound was so pathetic they nearly choked with laughter. “Again, Jagur,” they whispered, urging him on. A sleepy answer came from the girl. The call gave them a clearer direction and they ran through the castle, jaws agape with unholy glee. A sharp sense of dread woke Grimm from his stupor. He found himself sitting with his head hanging down on his chest. He vaguely remembered stumbling through a dark, clinging fog for what seemed like hours, lost in some obscure corner of the spirit realm. Reality seemed determined to ignore his complaint, however. Fatigue dragged his head down again, until his chin rested on his chest and his eyelids drooped shut. A younger version of himself gave him a reproving look. “Hel of a time to take a nap, Grey,” he said. Grimm snorted, rubbing at his aching chest. “Tell me how to get out and I’ll go.” He looked Grey up and down, comparing him with his own battered, scarred visage. The lines of age and hardship were missing from Grey’s face, and his hair was solid black. He even stood a little straighter, his shoulders unbowed. “Hmph. The years have not been kind to me,” Grimm said. Grimm started tearing at the edges of the mark. He could see it now, ugly green glowing lines looped around his chest like strangling vines. He got an edge free, and ripped the casting off all at once. An explosion of energy tore through him, dropping him to his knees, but his head immediately cleared. The dark fog faded into the more familiar landscape around the Long Road, and he could hear Nox’s distant thoughts. She sounded frantic. “I’m coming! Hold on!” she said. “Shut up, damn you,” Grimm grumbled, and they disappeared. As any of you who have been reading Nox and Grimm know, I’ve done a fair bit of world building over the past few years, and I thought it would be fun to take a look at the murky world of politics in the elemental realms. It may not always be readily apparent in the episodes, but everything my characters do is informed by their rank, and the political pressures that come with it. So let’s take a closer look at titles for the main characters, to give a bit of insight into what makes them tick. Titles are everything in this world. They can tell you volumes about a person’s social status, and they are where a lot of the tension springs from. Note – The only titles that truly matter are Lord or Lady, followed by the name of their House. This designates the ruler, and their heir apparent. Anything else is either a nickname, or a sinecure handed to them by their liege-lord. For example – Lucien is Lord Ice. He rules the House of Ice, one of the most powerful of the ‘Great Houses’ in the realms. He is also called the Battle King, or one of the Winter Kings, but these are just nicknames he’s earned. Despite being Galen’s descendant, he makes no claim to Winds, since it is forbidden to rule more than one House. The same goes for Lord Kel – he does not get to call himself Lord Ice, because he was adopted into the House to secure an alliance, nothing more. He was for a time betrothed to Nox, but again, it was only to facilitate an alliance between Ice and Snow. He was basically going to be a trophy husband, a fact that caused more than a little resentment in him, and is the source of he and Nox butting heads, even now that they are no longer to be married. Loki is another person with an ambiguous set of titles. He was Lord Loki, for lack of anyone knowing what to call him. Then he became Lord Dragon – but not Lord Fire. He uses his father’s nickname because Kyrios was murdered before getting a chance to confirm his son as successor. None of his father’s vassals have recognized him, nor has he been confirmed in his title by the Convocation (more on them later). All anyone has is Loki’s word that he is indeed Kyrios’ eldest son, and he has the dragon mark. Ergo, he will be Lord Dragon until his position becomes settled. Serenna is another odd case – being a human from a sister dimension to this one, the only title she could claim was Foreign Ambassador, and that title followed her when she married Lucien. She will never be in the line of succession for Ice, and can only act as an ambassador for Lucien when dealing with other Houses. He must ratify everything she does. So, confused yet? Don’t worry, it gets worse! *lol* I made these relationships convoluted on purpose, to provide an endless source of conflict in the series. Let’s move on to Vassals, and the Convocation. The myriad of other titles you see, Baron, Duke, March Warden, etc. belong to nobles who hold fealty to one of the Great Houses. Some are called Lords as well, but if they do, it’s only because their liege-lord allowed them to keep the title. Lucien has wisely done this, and the Lords Hail, Sleet and Frost are some of the minor Houses that owe fealty to him. Storms is a bit messier, but that mess is crucial to the series. They were for a long time a bunch of petty warring nobles, each with their own tiny bailiwick, and they made up whatever title was grand enough to suit their ego. Rhianna came along, backed by Lucien, and beat the snot out them and forced them to name her Queen. Since none of them held enough territory to be a House, she only gave them the titles of Duke, Baron, etc. Needless to say, this caused a lot of ugly tensions – they want from Grand High Poobah to Duke #535 out of 1000. This led directly to her downfall, at the very beginning of the series. Now we come to the Convocation. It is made up of the rulers of every House, and they meet at the turn of each season to discuss treaties, trade agreements, settle legal grievances and handle any other bit of business that crosses territory lines. They also ratify any appointment of heirs to the Houses – technically, each ruler’s word is law in their own territory, but let’s face it – it’s a global economy, and they have to work with the other Lords and Ladies. So getting confirmed means they have a seat on the Convocation, and can do business. Nox nibbled on a piece of biscuit as she worked through the stack of books piled in front of her. The ghosts of the Wind Knights had been sneaking bits of food and other supplies into Galen’s lab, always careful to cover their tracks to keep her location secret. She had fresh water from a spring that welled up in one corner, and a glass beaker held over a small burner had been pressed into use for brewing coffee. There was even a water closet hidden neatly behind the wooden paneling that lined one wall. “I’ve got everything I need, except more time,” she muttered. Nox rubbed at her tired eyes. “It’s nothing. Just trying to figure out how I’m going to shove two centuries of Galen’s knowledge into my head in a mere two days. I mean, look at this,” she said, pointing to a list of casting marks on the latest book she had open. “I don’t even recognize half of these. I can’t tell you what element they represent, and the stuff I do recognize is being used in ways I’d never have dreamed of. I’ve got the answers to questions I haven’t even thought of yet,” she said, with a chagrined sigh. Viktor was in trouble. He sat down the fire rose that Loki had entrusted to him, and tried to pull himself together. He could literally feel himself unraveling as the dragon fire inside the rose unmade the enchantments that held his spirit to this world. He knew Nox would need the power within it, however, so after a short rest he scooped it up and floated slowly onward. He put all his energy into flying through the corridors, holding out the rose to leave a faint heat trail in his wake. A simple Air casting mimicked the sound of running footsteps. The increased pace was causing Viktor to unravel even faster. Soon he would not be able to hold the rose at all. “Still not far enough, I must keep going!” He turned down another hallway, only to find that the portal at its end had been collapsed. He spun around as the sound of claws clicking on stone came from behind him. Viktor stood tall, and faced his ancient foes. “Right here,” he said, and whipped the rose straight at it. The glass shattered as it hit the ground, and an explosion of fire erupted like a volcano. The hound screamed in a hundred voices, and Viktor charged through the flames, sword first. The last thing he saw, as his blade pierced the beast’s shoulder was a huge set of claws sweeping toward his head. And in a crypt, deep in the heart of the castle, his bones turned to dust. Night had fallen, like a velvet curtain shot through with stars and slit by the pale blade of the moon. Loki sat beneath its distant light, on a balcony ledge outside his rooms. He had one knee drawn up to his chest and his arms looped around it, but the edge to his voice belied the casual pose. Loki started pacing again, and wisps of fire curled around him. “Something’s happening out there, Andy, and I’m stuck here in the back end of nowhere, without any answers.” He looked at the door to his rooms, caution warring with a need to be out doing something. Anders knew his friend well enough to sense an impending explosion, and tried to cut it off. “Lucien would not have asked you to defend this outpost if it wasn’t strategically important,” he temporized. “Important to whom?” Loki growled. “Zephyr? You mean Nox?” Loki said. “So what do we do?” Anders asked. “And they’ll have supply trains, strung out all the way back to those forts dotted around the Storm territories,” Loki said with an answering smile. Loki put an arm around his shoulders. “No, Tavis, we are not. Go get your dad, we need to plan a few friendly little raids.” Tavis bobbed his head in acknowledgement and dashed off again. “Viktor will take a message. Won’t you,” he said, looking directly at a spot just inside the room that looked colder to his thermal vision. The dragon tattoo rose up to the surface of Loki’s skin and coiled down his arm. Its head lifted away and the jaws opened, shooting a jet of flame into his palm. The fire pooled and hardened, slowly taking on the shape of a single, perfect glass rose. It flickered like a coal, black at the edges with scarlet and gold at its heart. “Look to your own battles, young man, and leave us to ours,” the ghost said, and disappeared. It’s here! After 2 wonderful years with Nox and Grimm , I’ve arrived at episode 100, can you believe it? I’ve been thinking hard on ways to make this a special event, to thank everyone that’s read along and been so encouraging as I learned the craft of writing. So I figured, what better way to celebrate than with a week long event! Yes, that’s right, I have written an entire short story to wrap up the Game of Chess story line, and I’ll be posting installments throughout the next week! And more – watch this space for Bonus Content and some big announcements at the end! *squeee! * I’m so excited! I hope you are too! And now, here is the first installment of Nox and Grimm, A Game of Chess – Endgame. Viktor and another ghost, Evan, floated to either side of her. They exchanged looks over her head. “Can we show her, brother?” Viktor asked. “Lady Zephyr –” she said, confused. Nox had spent every spare moment for the past month exploring the ruins of the ancient city, but somehow managed to miss the corridors they led her down. 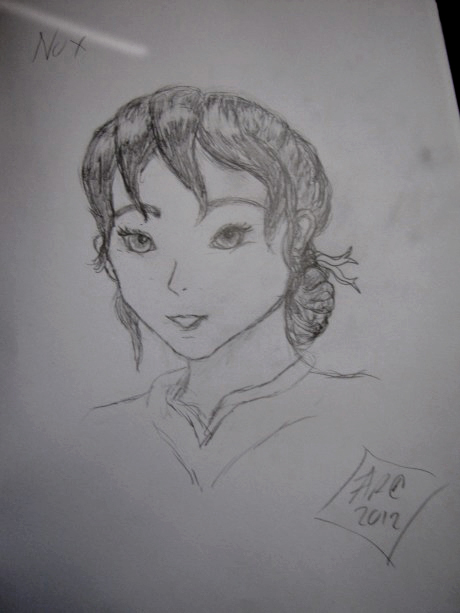 She had to clamber over piles of fallen masonry and skirt gaping holes in the floor, but she was small and light enough not to cause any loose stones to shift. They passed through several portals, each one taking them further in towards the castle at the center of the city. The last portal was built into a small wooden door that had managed to avoid the decay of centuries. Elemental casting marks were carved into every inch of its surface, and to Nox’s aura sight it glowed with a silvery sheen. “State your name and title, and place your hand over the metal lock plate.” The ghost pointed to a flat bronze panel set next to the door handle. The soft, silver light that radiated from the door intensified, and the carvings lit up so bright that Nox had to squint against the glare. The energy ran down through the symbols carved in the door, flowing at an alarming rate to where her hand rested. She had just enough time to brace herself before it slammed into her hand, running along her veins and spreading out through her whole body. The jolt made her bite her tongue, and she could taste the sharp tang of blood in her mouth. Nox spit it out, and put a sleeve to her lips. The energy hurt, but her mother had done worse to her. She held firm while it moved through her, stubbornly refusing to show any sign of weakness. Eventually it faded, and a tingling sensation she had always equated with her mother’s healing spells prickled on her tongue. The pain disappeared, along with the taste of blood. The door swung open slowly, its hinges grinding after millennia of disuse. The last whisper of power drained from the casting marks and flowed through the room, lighting a series of small glass lamps that lined the walls. “Of course, Lady Zephyr,” Viktor said, and bowed before walking out through the wall. Nox barely heard him, already engrossed in her ancestor’s writings. Three days, she thought. Three days to do what Galen could not with all the resources and power in the world to back him up. She let go of the Ice she had summoned, and drew on the Winds instead. Air was intellect, and she was going to need every scrap of brain power she had to figure this problem out. She pulled some blank sheets of paper from a cubby hole in the desk, along with a fountain pen and inkwell, and settled down to work..
Shadows bled from beneath every rock and tree as the sun dipped below distant mountain peaks. They ran like ink and pooled together, until the whole world drowned in darkness. This is how it should always be, Katya thought, and laughed as her spirit flew through the gathering gloom. The Lord of Ice had fallen, and now it was time to place another pawn on the board. She found Balor in his chambers, withered and weak, facing a floor-length mirror. Gnarled hands brushed strands of coarse, graying hair over a balding pate. The Morning Lord revealed, in all his pathetic glory. The night was not kind to one who had so closely tied himself to the sun. “Shouldn’t you be with them?” she asked. “I will join them for the final kill. Do not worry, my pet,” he said, imitating her mocking tone, “the dragon mark will be mine.” He made one last check to be sure no sign of age was showing, and left the room, locking the door behind him. The hound howled with glee as it disappeared back into the shadows she cast, eager to do her bidding. The undercroft of Grimm’s old mausoleum had not seen so much activity in centuries. Guards were posted inside and out, and the ghosts of two Wind knights waited just beyond the portal at its furthest end. Nox followed her father down the stairs into the dark, dusty chamber, hurrying to keep up with his longer stride. Viktor nodded, his voice a breathy whisper. “Of course, my Lord.” He sketched a sign in the air with a translucent dagger, and flicked the base of the blade to create a clear, ringing tone. The sound bounced off all four walls of the room, and the voices from the guards in the crypt upstairs were abruptly cut off. “But how? When?” Nox said, looking up at him in shock. Nox could feel her hands trembling. All those years her mother’s spells had tormented her, all of it was at the prompting of the Shadowkin. And technically, it was all her father’s fault, although she didn’t blame him. How could he have known that his wife would fall so easily into madness? Nox wasn’t the least bit happy about being sidelined, but he was right. If the Shadowkin were on the move, Grimm needed her more than her father did. “So what will you be doing while I track Grimm down?” she asked. “I will return, one way or the other,” he said, and left her alone in the undercroft, with nothing but ghosts for company. 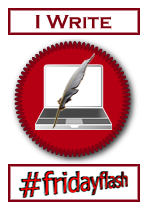 This flashfic is part of an ongoing web serial, updated as a part of #fridayflash on twitter. If you are new to Nox and Grimm, you can Click Here to read from the beginning.